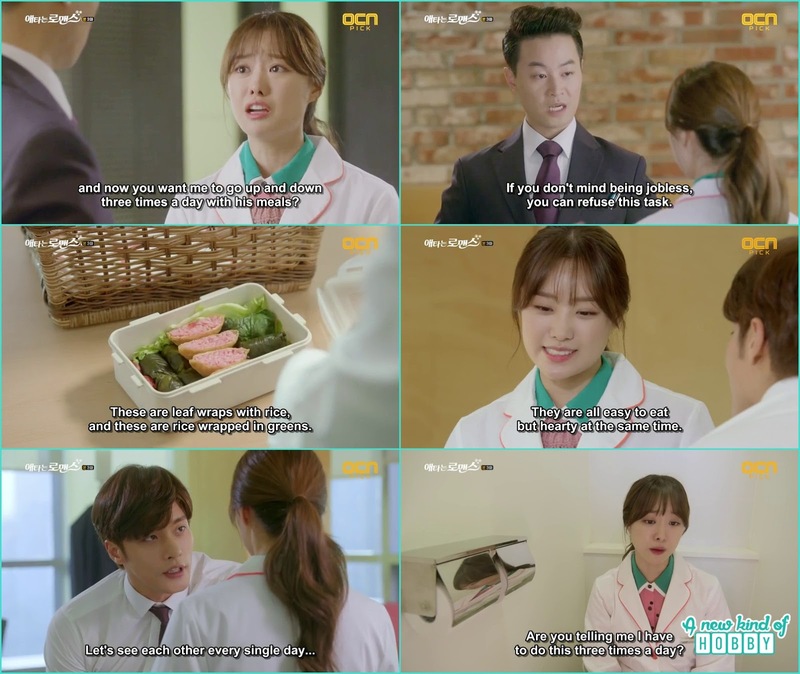 Finally we got to see their chemistry Jin Wook and Yoo Mi met and it was a surprise for Yoo Mi to find him at the place of CEO. In the last episode how Yoo Mi fantasize meeting him by chance and thought it might be a dream. Now they both knew they work in the same place the real game will start now. 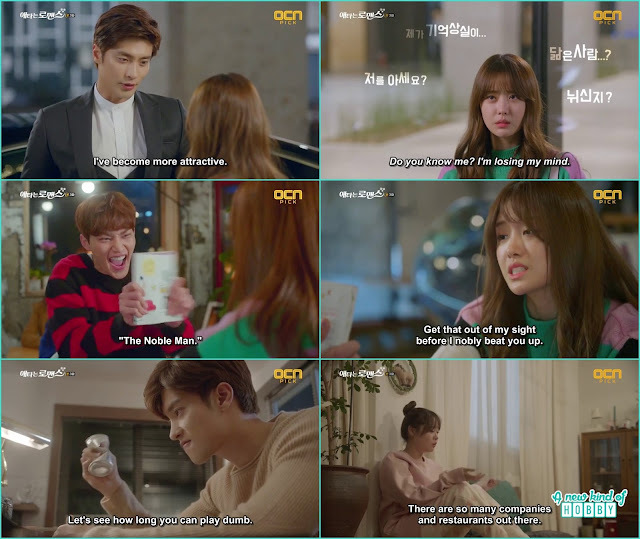 She wanted to avoid the reality and the situation but couldn't do so and take out her frustration infront of Hyun Tae. She also fears to loose the job which makes sense. She recalls what happened three years how she left and with his personality he can do anything to make her leave. The storm change its direction from food towards face to face torture. Jin Wook stop criticizing the food she made instead she started torturing her, it was because she ignored him, leave him and now not recognizing him this hurt his pride and he wonder how can she play all dumb. It was getting more interesting the way Jin Wook look at her and never miss a chance to tease and remind Yoo Mi of the past. Nothing worked on Yoo Mi so he again used food as weapon and made her suffer. He for sure decided to take revenge on her. It was a unique rather romantic kind of revenge rarely seen in kdramas. Yoo Mi become confuse every time she saw Jin Wook and blabber what ever comes out of her mouth, this make us really laugh how confuse she become and wanted to run away. 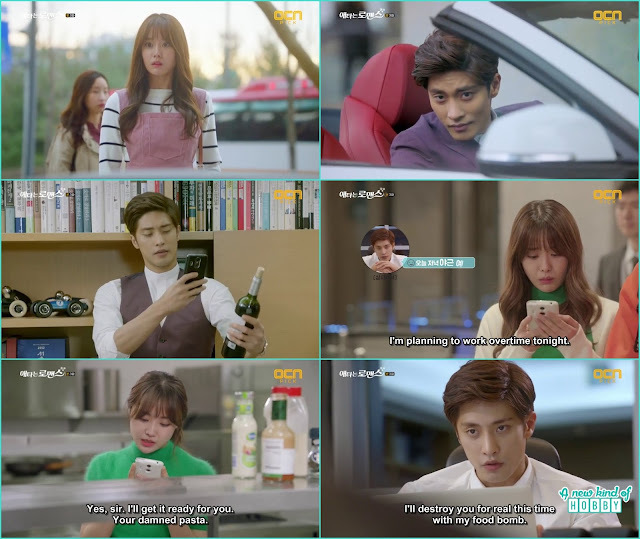 The more she tries to avoid Jin Wook the more he drag to stay with him. Not only this he paid her the gas money and in return ask for his clothes. We thought she won't show any reaction but that dummy told she threw away the clothes. Not only this she also scold him for treating her like a housekeeper, least she just shout what ever she make without being choosy. Jin Wook didn't expect this kind of reaction from her so only ask the reason why she left. Yoo Mi was already confused by his behavior she can gather the confidence to tell the truth but took the help of a lie saying "It was just a one night stand" and left. Later she realize what mistake she made and thought she might be fired for what she did earlier. But nothing like that happened instead she received a praise regarding the meal. It was surprising for her so she didn't believe. At the lunch time cafeteria ajhumma told Yoo Mi to take some kimchi pancakes to the CEO. There she witness Announcer Jo Hye Ri acting as the girlfriend as Jin Wook. Seeing them together her heart feels a little burden but she realize its for the best she shouldn't have to worry anymore. The next morning Announcer Jo Hye Ro came atthe cafeteria and ordered Yoo Mi to notify her whatever she makes for Jin Wook. Not only this she bought special utensils and crockery to be used while serving. 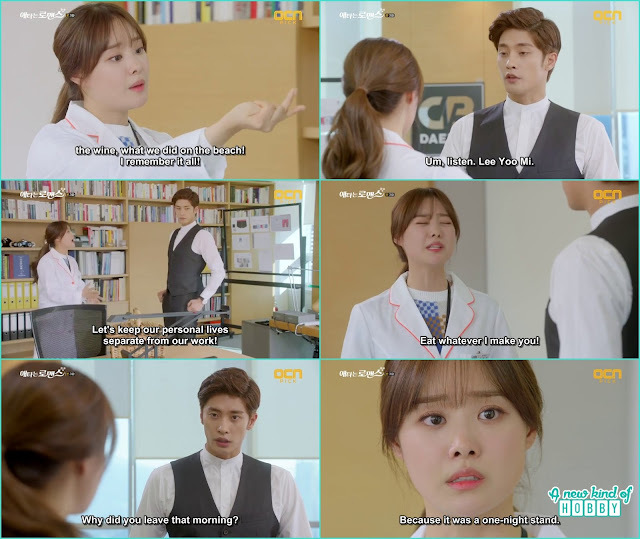 Every one at the cafeteria was surprised when Jin Wook showed up and indirectly insult Jo Hye Ri not to interfere with the matters of his personal nutritionist. We never thought to see Jin Wook's this side. Now the story takes another turn looks the witchy lady Jo Hye Ri won't take the insult and will come back at Yoo Mi again. Stay tuned to find out more fun in Yoo Mi and Jin Wook's secret romance.